We provide your restaurant, hotel, or club with custom choices when it comes to check presenters. We have every color imaginable along with various styles, materials, and sizes. We would love to discuss options with you and help you select the best options for your needs. 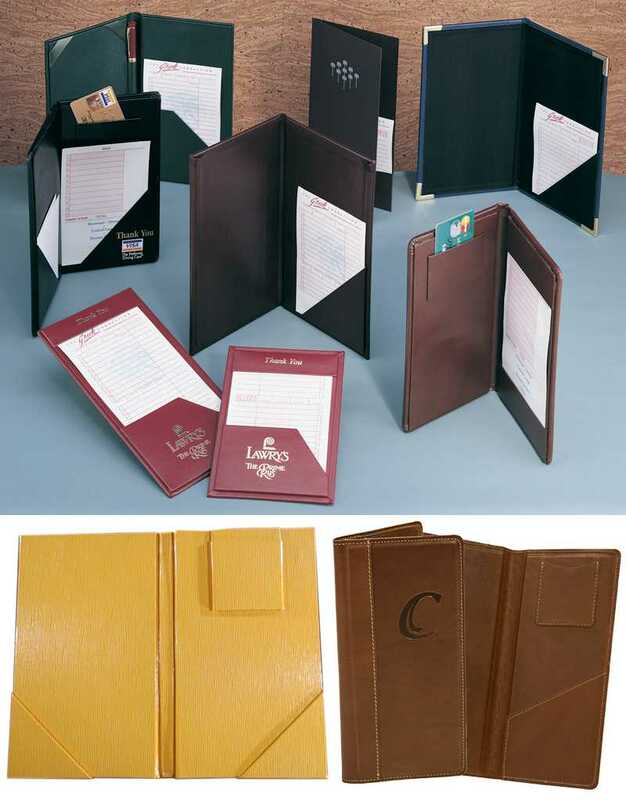 Custom check presenters in leather, wood, metal, and other material. Laser engraved, debossed, or screen printed.